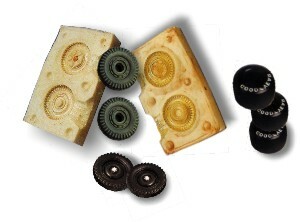 SINTAGOM is a 2 part liquid polyurethane casting rubber cold curing through catalyst producing an elastic compound like rubber, fix and without shrinkage. 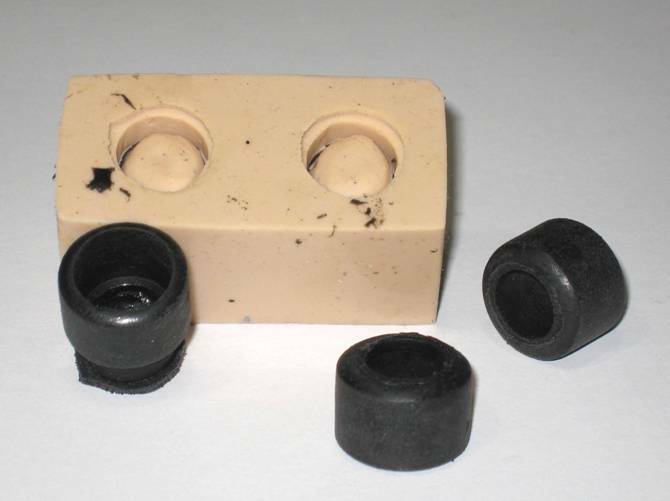 It is used to get pieces assimilated to rubber in silicone moulds. 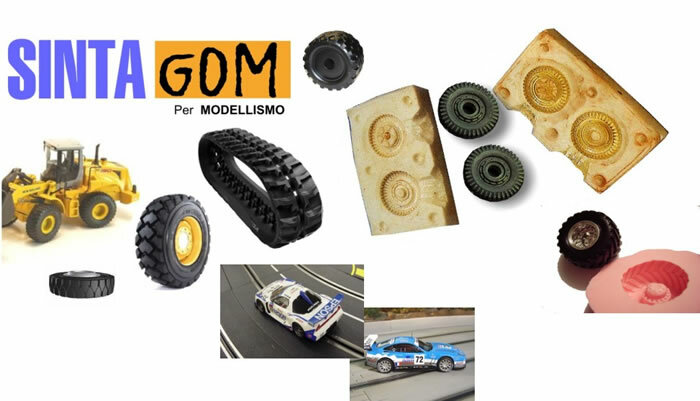 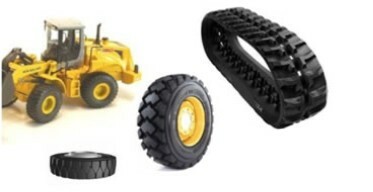 Particularly suitable for modelcrafts to make tyres, garnishes, caterpillars, etc. 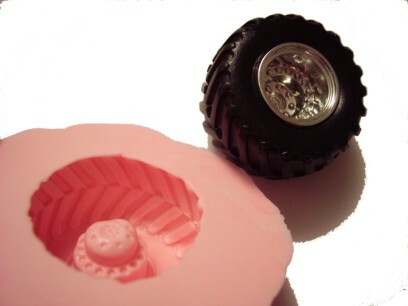 perfect reproduction of the mould to the finest detail.